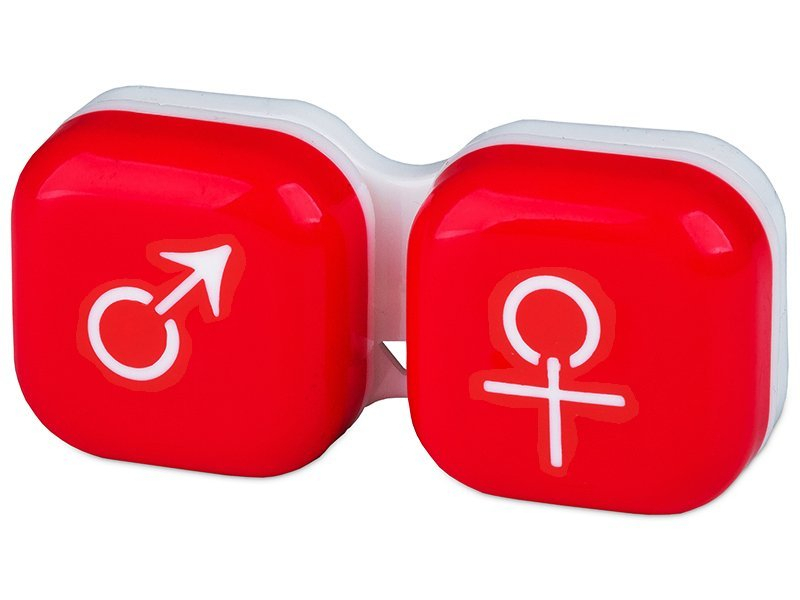 A plastic lens case in a boxy shape made in a distinctive red colour. Thanks to the unique design of the case the „man“ and „woman“ pictures will help you store your lenses in the right spot without confusion. Convenient shape that is easy to use. Original design available also in pink, black and blue.